What broadband can your neighbours get? 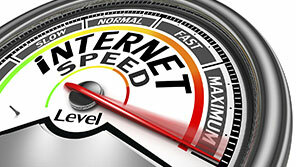 Have you ever wondered whether your broadband could be quicker? One way to find out if you’re being fobbed off or not is to see what your neighbours are getting. Fortunately u-Switch provides precisely this service: visit https://www.uswitch.com/broadband/speedtest/streetstats and see what’s happening around you. It’s quite interesting seeing the sheer variance of speeds around Burnley and Rochdale!